Burnley Development Squad goalkeeper Conor Mitchell, 19, has re-joined Sheffield FC on a one-month youth loan. The Northern Ireland U19s stopper enjoyed a spell with the Evo-Stik League First Division South outfit at the start of the current campaign. 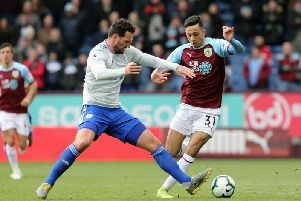 Mitchell, who recently signed a new deal with the Clarets after making the first team bench at Middlesbrough in December, also spent time on loan with Bradford Park Avenue in January, 2016. The 19-year-old goes straight into the Sheffield side travelling to face Belper Town tonight (Tuesday).